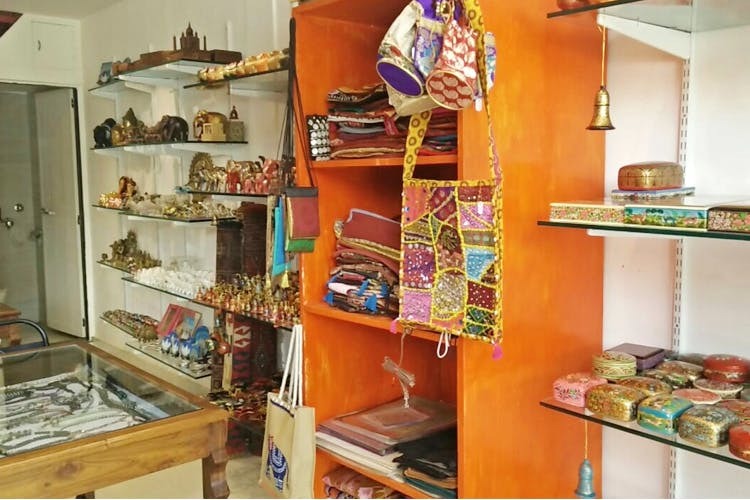 Cottage India Industries And Exports in Santacruz is heaven for those looking for hand-made apparel and jewellery in the city. We explore why you should stop by. You’ll find kurtas that have been hand-embroidered by artisans from villages starting at INR 500, stoles and salwars that will go well in the summers. We loved the kashmiri-style embroidery work on plain kurtas. So what if you can’t wear woollen kaftans, you can always wear a cotton kurta with the same quality of work. We also like their silver jewellery section where you can get earrings starting at INR 1,500. In case you want something for the home, they also have small souvenirs that’ll look pretty on your side table. We picked up a handmade buddha notebook for INR 300. It’s a humble store that tries to uplift the livelihoods of men and women in the rural areas. If you have friends visiting from abroad who want authentic handmade stuff from the country, so give this store a visit.